Lower intercooler pipe 2,75 (polished stainless steel). 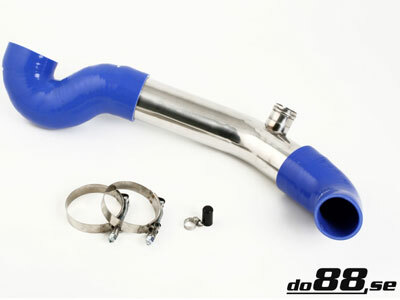 This is a well-worked intercooler pipe kit with excellent fit and finish! Pipe can be specified with or without 38mm (1.5inch)blow off valve outlet. (Please note Do88 pipe with the optional blow off valve outlet will not fit together with the original air intake hose to turbo or the OE air box.